The PRO-810 fusion splicer is the most price effective, dual heater, core alignment fusion splicer. 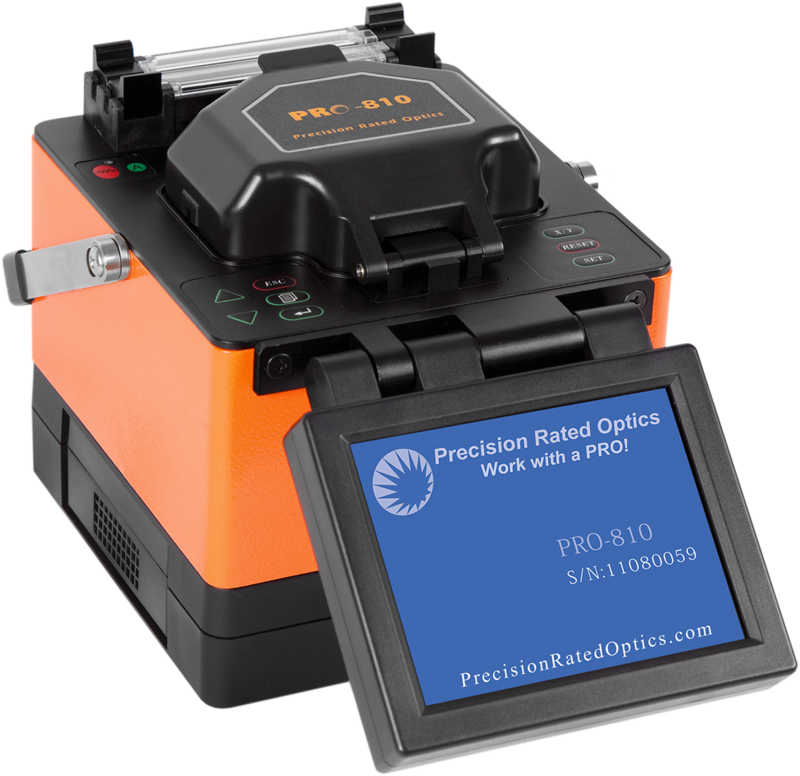 The PRO-810 fusion splicer is designed for use within several areas of fiber optic deployment. Whether your application is Premise, OSP, or FTTx splicing the PRO-810 will get the job done right. The PRO-810 fusion splicer is designed to work with all the popular fiber types and in all weather conditions. The dual axis view and reversible color monitor with control panels on both sides assures fusion splicing efficiency in any work environment.